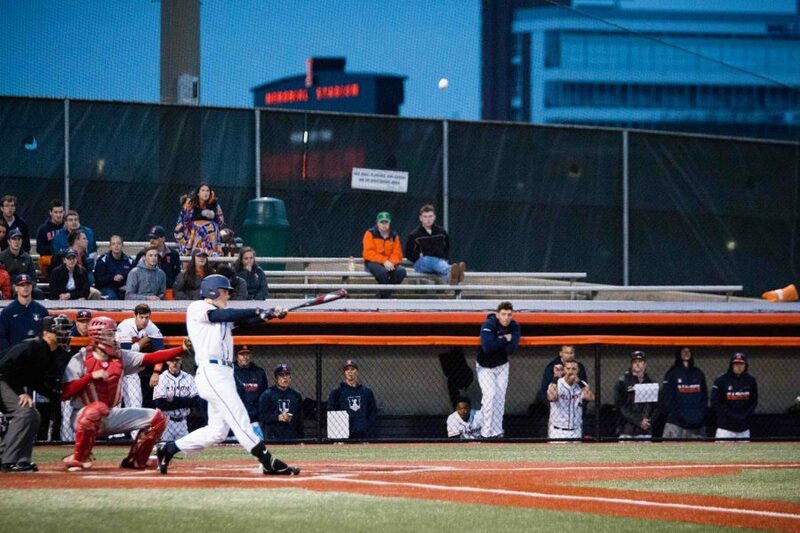 Illinois' Michael Massey hits a pop fly against Bradley at Illinois Field on Tuesday, March 28. 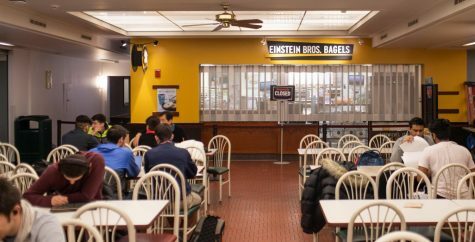 The team recently beat Illinois State 6-5. It will play Northwestern in a three-game series this weekend. 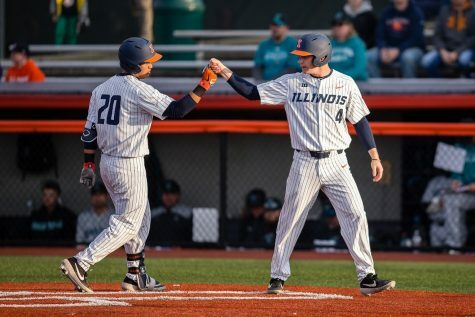 The Illinois baseball team secured an extra-innings victory Tuesday over Illinois State. Pinch-hitter Tyler Engel hit a go-ahead sacrifice fly to score Mark Skoniezcny. 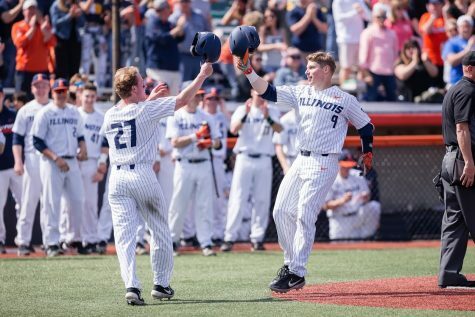 The victory gave the Illini their fifth-straight win over the Redbirds. 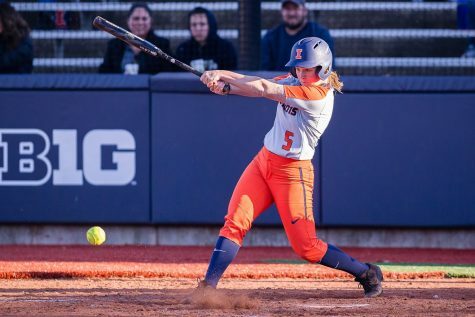 The Illini had multiple leads during the game but could not hold, letting the Redbirds back into the game on two occasions. They took an early lead in the third on a Ben Troike RBI groundout. He scored leadoff hitter Jack Yalowitz who would also go on to score the game-tying run in the ninth inning. 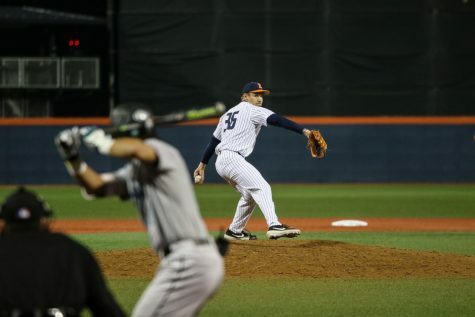 Starting pitcher Matthew James held the Redbirds scoreless heading into the fourth inning, but that would quickly change as he gave up a game-tying home run to ISU shortstop Owen Miller. James went on to throw five innings, giving up one run, two hits and one walk. It was James’ longest start of the season. 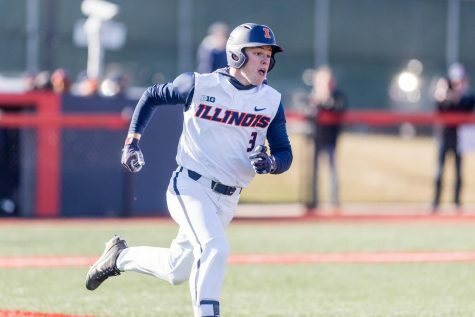 Despite giving up the lead, Illinois quickly recovered in the fifth and sixth innings. 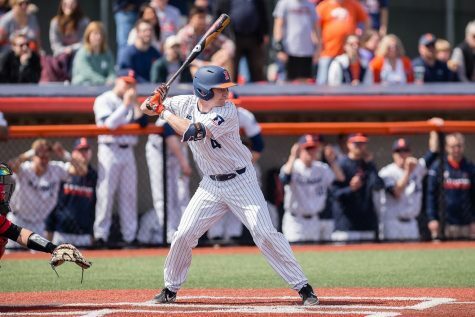 Freshman second baseman Michael Massey knocked a two-RBI double that scored Casey Dodge and Pat McInerney in the fifth. 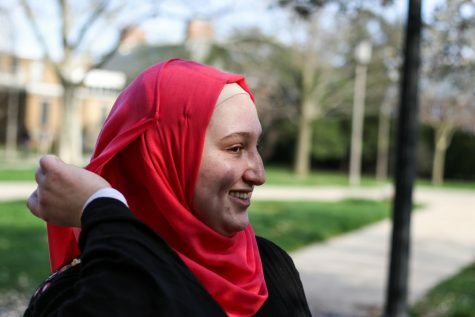 The RBIs brought Massey up to 21 on the season—the most among rookies on the team. Following Massey’s double, Yalowitz extended the lead to three with a sixth inning double to score Dan Rowbottom. 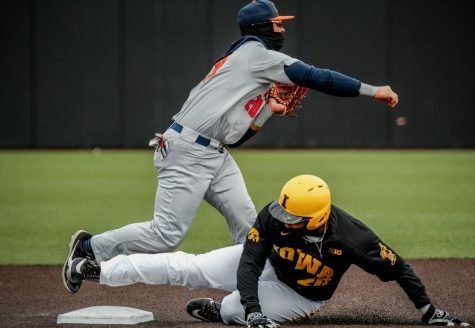 But, the lead would not last long as ISU quickly bounced back to score three runs in the 7th inning to re-tie the game. Following tying the game, the Redbirds went on to take their first lead of the game on an eighth-inning single from Noah Sadler, giving them a 5-4 lead. 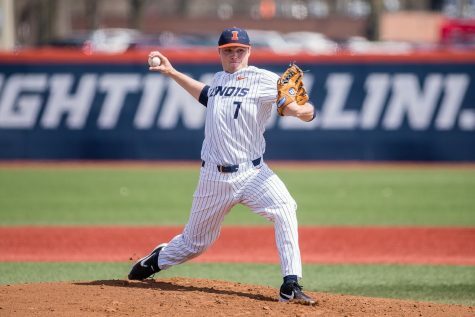 The Illini again had an answer, tying the game after a throwing error that allowed Yalowitz to even the game at five. This set up for Engel’s go-ahead sac-fly in the 10th to score Rowbottom, giving the Illini a lead going into the bottom of the inning. 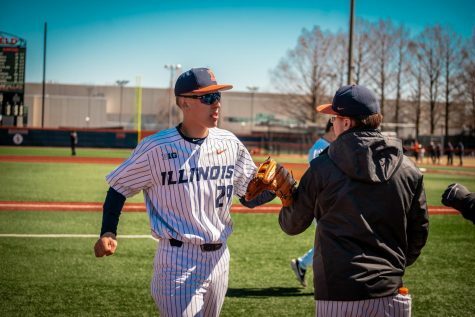 Sophomore pitcher Joey Gerber finished his third scoreless inning in order to pick up his first win of the season and secure the victory for the Illini. 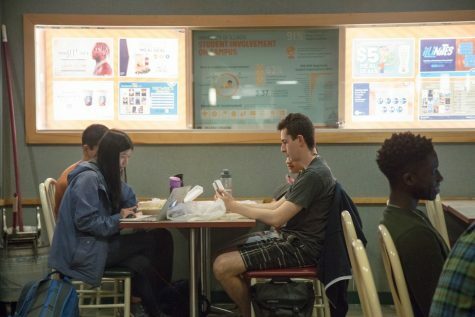 Despite a slow start to the season, the Illini have had success of late. The team has won six out of eight games, including wins over No. 18 Michigan and rival Missouri. 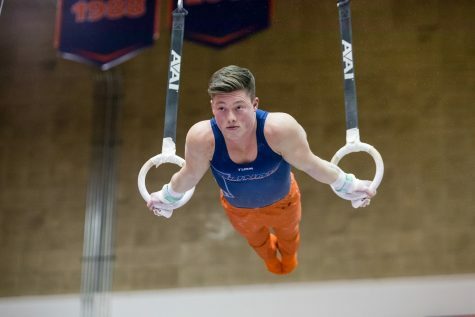 This weekend, the Illini will take on in-state rival Northwestern. The Wildcats have also faced their fair share of struggles this season and are currently 11-20, but they are improving as of late. 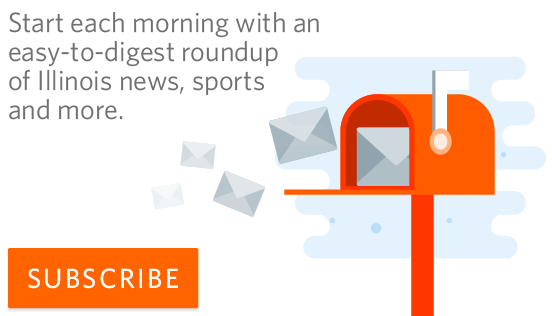 They have won three-straight and have won five of their last seven games. With both teams coming into the series on streaks, both teams are looking to gain some additional momentum heading into the final stretch of the season. For the Illini especially, this would be their first series win against a Big Ten opponent. 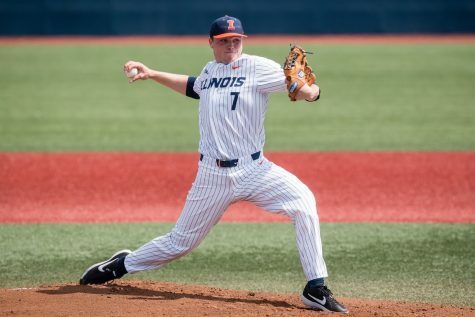 If Illinois wants to win this weekend, it will need to continue improving its pitching. 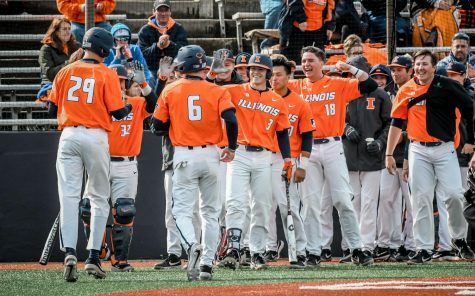 In their recent winning stretch, the Illini have given up just 4.5 runs per game, which has improved from the team’s season average of 6.23 per game.